No surf? No worries. Hire a sit on kayak and see the shore from a different perspective. • Only available from Borth on days with flat calm conditions. 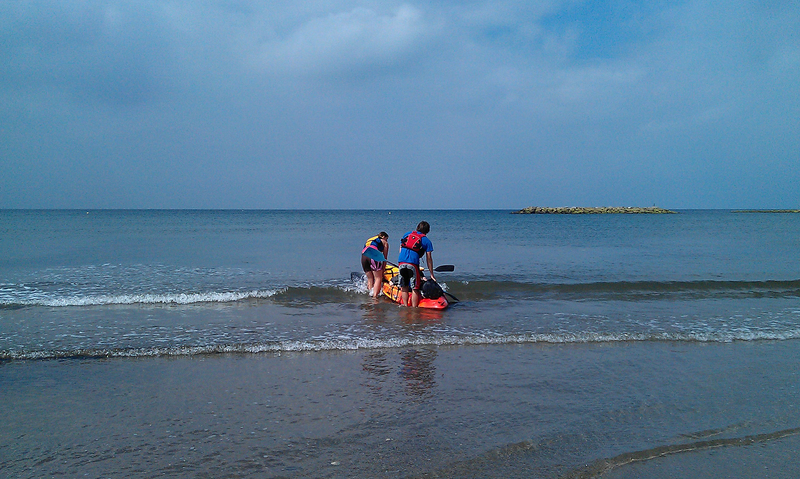 • Hire of Kayak, paddle, back support and buoyancy aid inclusive. Wetsuits extra. View 2019 prices. • Good quality equipment. View our rental fleet. 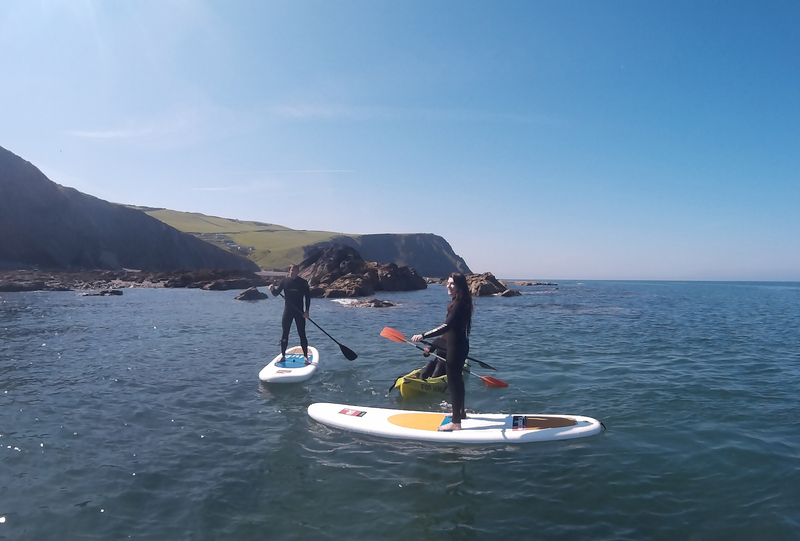 It is common for us to see dolphins, seals and believe it or not otters during our activities, making for an even more unforgettable experience. 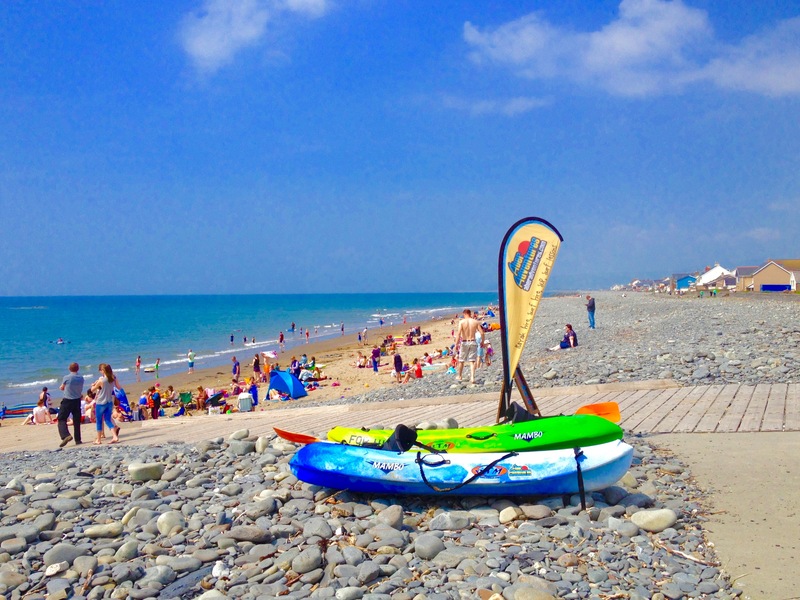 Based in the Aberystwyth area, we are mobile and meet for Kayak hire in Borth, in front of the Lifeboat station. Minimum age 8 and able to swim 50m in open water. Pre-booking is essential. Full terms & conditions. Stand up paddle board lessons and hire are available too. Kayak, paddle and buoyancy aid from £12.00 per kayak. “Brilliant day, had dolphins breaking the water right by the kayak. They swam around for a couple of minutes before swimming away. Brilliant experience. Very happy. Thank you very much.” Ian, Aldridge.